Handy Notes for your maps. This addon is intended to be a small and simple replacement for Cartographer_Notes and functions in a similar manner. Use /handynotes to access options. Alt-RightClick on the world map to add a note. Use "/hnnew" without the quotes to add a note at your current location. Use "/hnnew x,y" without the quotes to add a note at location x,y on your current zone's map. Fix HandyNotes to use Astrolabe-1.0 instead of Astrolabe-0.4. Place the New Handy Note dialog box above the World Map by parenting to it if the World Map is open. Add a 6th optional return value "dungeonLevel" to the pluginHandler:GetNodes() API. This value is used if it is different from the input dungeonLevel, similar to the 2nd return's "mapFile". Update TOC Interface to 40000. Add optional AddonLoader delayed load support. Use latest version of Ace3 and Astrolabe libraries. Use latest version of Astrolabe library which has Hrothgar's Landing data. Play nice with Carbonite which is trying to fake as being Cartographer. Add HandyNotes to the Blizzard Interface Addon Options too. When quest objectives are enabled, the HandyNotes icons on the world map will now show their tooltips again on mouseover. 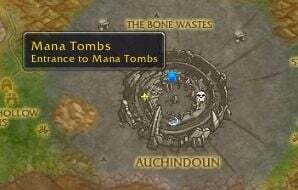 When creating or editing a note on a map with dungeon levels, you may now choose which dungeon level the note appears in or choose to have it appear on ALL dungeon levels. HandyNotes will now pass as 3rd parameter the dungeon map level when it calls pluginHandler:GetNodes(mapFile, minimap, dungeonLevel). Existing user notes in HandyNotes will still display on all dungeon map levels, but new notes will be level specific. Remove compatibility code with all WoW versions earlier than patch 3.1. Notes without a title will now show "(No Title)" as the tooltip title rather than have no tooltip on mouseover. Add the ability to create/change/copy/delete profiles in HandyNotes. HandyNotes was already using Ace3 profiles, just that this wasn't exposed. Add ability to enable and disable plugins from showing on the map in the HandyNotes options. Add a wider range of icons to select from. when opening the main map I keep getting character animation yet its just a blank window. While cliking a quest on the quest window nothing comes up either. It is just that the author has abandoned Wowinterface and prefers you do download from Curse. At Curse authors get a few fractions of a cent for each download. Author of that awesome AddOn deserves at least that. Had to delete this mod. It nolonger shown anything. I love it and hope to put it back soon!? Love HandyNotes. I know you said a while back (here: http://forums.wowace.com/showthread....788#post191788) that you weren't going to support Carbonite (and I understand why it's a monster to work with!) but as I have already got my head around Carbonite for WorldExplorer I wrote an addon to bridge the gap. It isn't perfect but it was only written last night! Hope you don't mind! Last edited by Zasurus : 01-29-12 at 01:33 PM. I can get the config window to open up, but putting notes on my map is not working anymore. edit-- aight.... the alt/click to add new note isn't working, but the type add is..... no icon on map or minimap either. Last edited by Mordreade : 05-07-11 at 02:04 PM. Thanks for the update Xinhuan. 1. Use the /hnnew command without having the map window open. 2. HN Note editing window doesnt appear. 3. Open map with keybind "m"
4. HN Note editing window appears with "m" in the first box. Is it possible to use the /hnnew command with more options for title and symbol? Like for example /hnnews 30.65,60.87 "Moonelder" "5"? Or is there a way to edit blocks of data directly into the database? Or a way to make Handynotes keep the title and icon of the notes? Or to change the standard icon and set a standard title for some time? Last edited by kaimox : 01-23-11 at 07:44 AM. I would like to thank everyone for the support shown while I was too busy to find time to fix this addon. My next focus would be to update HandyNotes_FlightMasters and collecting the data for it. There are several problems associated since 4.03a with HandyNotes, most notably the missing update of the Astrolabe library (at least in german locale). Someone worked on them (http://www.wowinterface.com/download...fanupdate.html) - maybe his work could speed up the update process? Try HandyNotes (tempfix) for the Astrolabe-1.0 update. The new flight points are missing too. Those are added by HandyNotes_FlightMasters which I have not touched. There are several problems associated since 4.03a with HandyNotes, most notably the missing update of the Astrolabe library (at least in german locale). Someone worked on them (http://www.wowinterface.com/download...fanupdate.html) - maybe his work could speed up the update process? The new flight points are missing too. Are you working on an update, Xinhuan, or do we have to look for another notes addon? I know there is probably a lot of work involved but a short notice would be nice. The HandyNotes "Add Handy Note" dialog box is appearing under the main map, instead of over it. The box's strata may need adjusting. Last edited by brknsoul : 11-24-10 at 05:46 PM. Your error is caused by the HandyNotes_Directions plugin addon, please contact the author of that addon. Hardcoding keybinds is bad... My Alt+RClick already used by TomTom. Actually the default in TomTom is not alt-right click (configurable in TomTom), I know this since I use TomTom - they do not conflict by default. As for the other complaint, I'll have to look into it - I use Mapster which allows you to put your map on a lower frame level. Note creating interface is not over map... moreover, if /framestack is to be believed, it's not even created until map is closed. I strongly suggest you include LibSharedMedia... and pull icons list from it. Last edited by AnrDaemon : 02-14-10 at 09:55 PM.